We must go deeper: Submerging net cages for healthier fish Submerging fish farms may be better for fish, but how can it be done for fish that also need air? Most fish farming in the ocean uses net cages that float because it is easier to feed and remove fish at the surface and because some fish species require access to air. However, the surface of the ocean experiences a wide variety of temperatures, salinity (how salty the water is), and wave action depending on the weather. 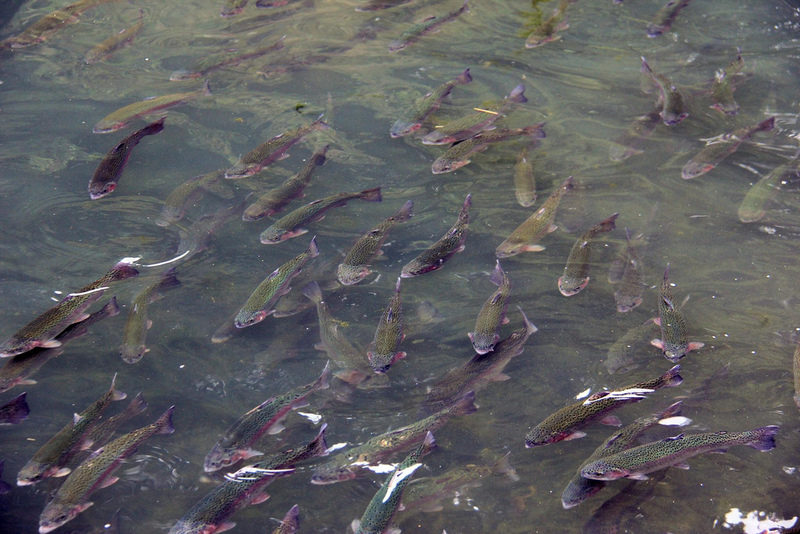 Changing conditions such as warmer or colder temperatures, reduced oxygen from algal blooms, and reduced salinity from rain can be hard on the fish. Storms also cause large waves that can damage nets and allow fish to escape, which results in a loss of money for the farm and a potential disturbance of local fish populations. Submerged cages also aren’t visible, and thus coastal land owners may be more open to having them off their shores. One of the biggest problems currently in Atlantic salmon farms is the increasing abundance of nasty parasitic creatures called sea lice. 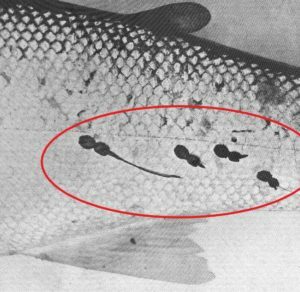 Sea lice attach themselves to the salmon and feed on their skin and mucus, causing lesions and stress. High numbers of sea lice reduce growth in fish and leave them vulnerable to infection from other diseases. Due to the high density of fish in net cages, sea lice larvae can easily find many hosts to attach to. The most common methods used to remove sea lice often involve a lot of work, such as transferring them to a boat and bathing them in hydrogen peroxide, or are hard to administer consistently to all fish, such as putting chemicals that target the sea lice into their feed. Vaccines and breeding for certain traits that make them less vulnerable to sea lice are being researched but have not been successful yet. 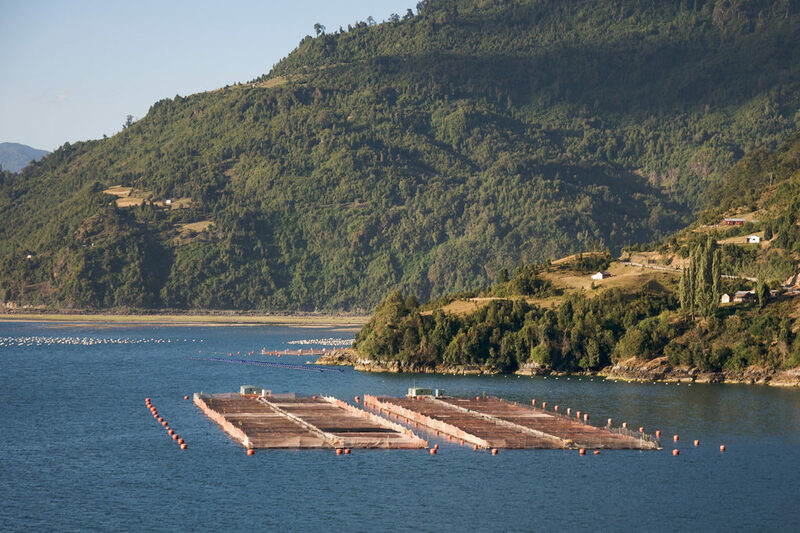 Based on the fact that sea lice are attracted to light, and thus the surface of the water, some researchers concluded that putting the cages deeper underwater might reduce the number of sea lice that find their way successfully to a farmed salmon host. Indeed, levels of sea lice were reduced when the cages were placed 10 meters (33 feet) or more below the surface. The main problem with this approach in that salmon need to gulp air every so often to refill their swim bladder, an organ that keeps them properly buoyant in the water. 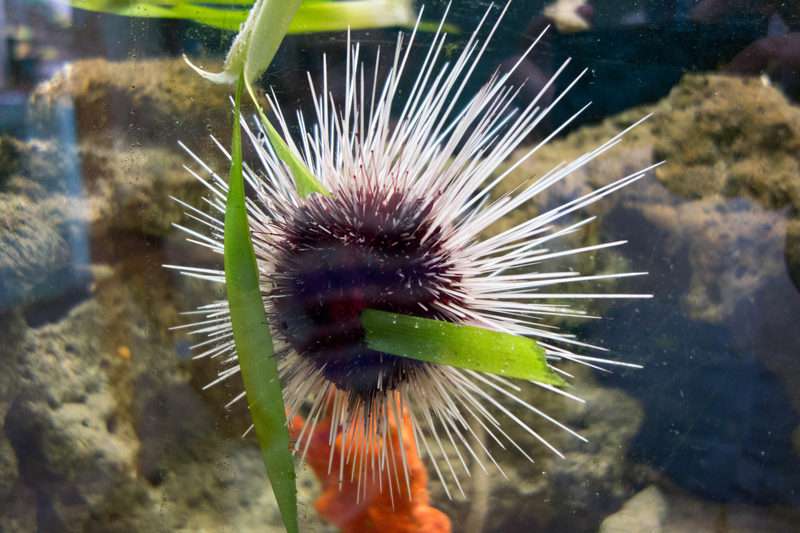 Other experiments with submerged cages have used “snorkels” – a tube to the surface that the fish can swim up – but those are relatively thin and could tear more easily than the cage if there was a storm or if a large animal, like a shark or sea lion, attacked it to get to the salmon. A group of researchers from the Institute of Marine Research in Matredal, Norway, decided to see if the salmon would be able to stay submerged for a week at a time without negatively impacting their swimming ability and general welfare. They also wanted to test if this mostly-submerged style of farming would reduce sea lice prevalence. For 8 weeks, they submerged 3 cages of 1,700 young Atlantic salmon to 10 meters (33 feet) below the surface, pulling the cage up once a week to allow the salmon access to air. 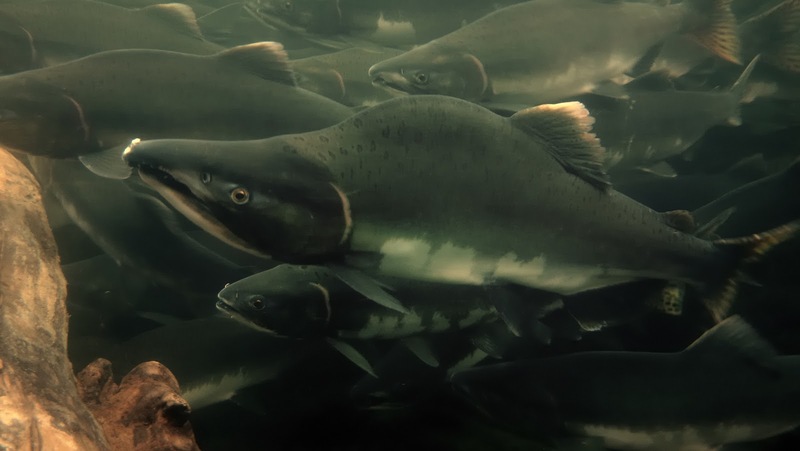 Using active sonar technology, the researchers observed that the salmon had lost about 50% of the volume of their swim bladders by the end of each week. Underwater cameras were used to observe swimming behavior, and they showed that the swimming ability of the salmon was not impaired by this loss – they all swam at a normal angle, but faster than the surface fish. Using a scoring system that took into account several factors such as fin, skin, and eye condition, sea lice levels, deformities, and body shape, the researchers concluded that the submerged fish actually scored higher than the surface fish in terms of their welfare. However, there were more sea lice found on the submerged fish than on the surface fish. How could this happen when previous research shows the number of sea lice decrease with depth? It turns out sea lice are attracted to the light of the surface, but they strongly avoid low salinity. In the coastal area where this experiment was conducted, the top 5 meters (15 feet) or so were consistently lower in salinity compared to the average salinity at the same depth in previous studies. This pushed the sea lice deeper below the surface, and likely caused the lice to encounter the submerged salmon more often than the ones near the surface. This experiment shows the importance of fully understanding the ideal conditions for a parasite and the local conditions of a farm when deciding which pest control method to implement. Pest control, whether on land or at sea, is rarely a one-and-done type of problem and therefore requires flexible solutions that cover a wide variety of situations.